So let me first say there was a discrepancy that the course cone for the turn around was slightly off. My Garmin showed 3.05, which could be a reflection of some of the cone issue, but that also includes any attempts to cut the tangents. Sometimes with small races every now and then the course can be marked short or long by accident as a volunteer may start the course in the wrong spot or put a turn around marker in a wrong position. It’s bummer, but I guess it happens. This race is held at 6pm, which in July makes it nice and melting. It was about 87 degrees and the course has some rolling small hills after the first mile. This was a hard training week for both Rob and I so it was going to be interesting to see what would happen. Not only did we both hold up we raced strong! I can’t wait to see what we could do with some rest and cooler temps! My time got me 3rd female and 1st in my age group! 1st and 2nd female ages were 19 and 16, so just being in the vicinity of some youngster females is rockin in my book! 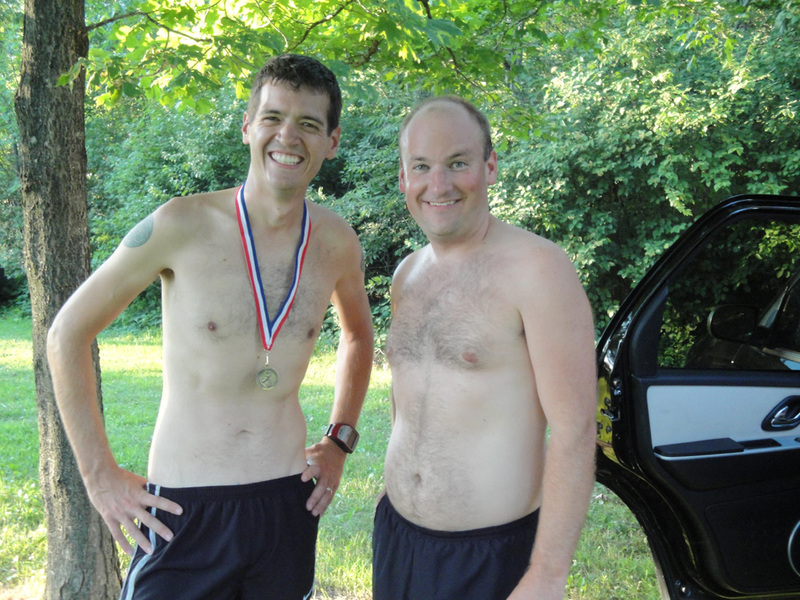 Rob finished with a 18:37! He got 1st in his age group! **Race director announced the slight cone differental and said everyone just add 20 seconds to our time. So I log this as 19:59 and hope that in a future 5K I can bring another sub-20. Rob and Drew. Drew threw down on this race! He wanted a sub-30 and was 28:44, his times just keep dropping! Wow, wow, wow! You are so speedy! Congrats on an awesome time and an awesome placement. You just continue on up the ladder! WAY TO GO! nice job to you and robb!!!! Wow, that speedwork is paying off! Awesome job! Wow! a sub-20 5K, AMAZING!! You are an inspiration to me. Well heck how did I not get this blog update? Anyway, WAY TO GO SPEEDY! 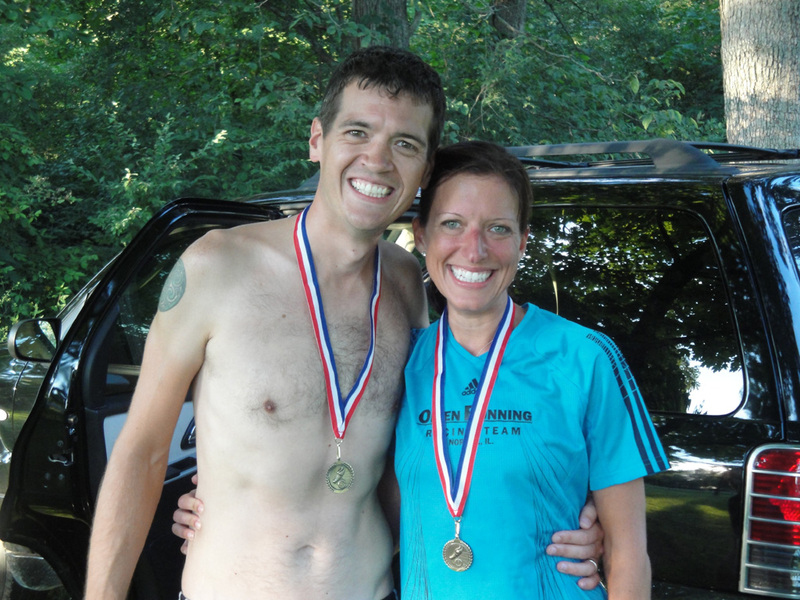 Talk about taking your running to the next level….congrats to u and Rob!